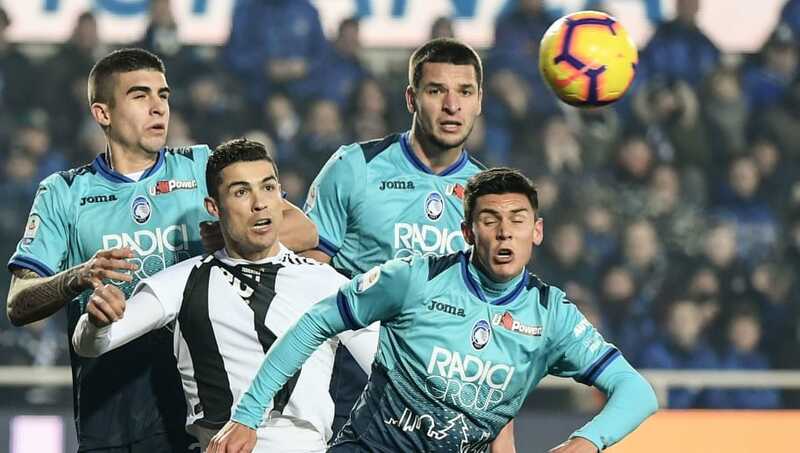 ​On Wednesday night Italian giants Juventus will travel up to Bergamo to play Atalanta in the Coppa Italia quarter-finals. Being the current holders of the trophy the Old Lady will look to retain continue their dominance in the competition again this season. season so far, this should prove to be an exciting and close affair. Atalanta will be at full strength for Wednesday's game, with the exception of 25-year-old Iraqi Ali Adnan. Juventus are missing a few key players through injury, such as defender Leonardo Bonucci due to a distortion of the ankle, as well as another defender in Medhi Benatia, who is out due to Pubitis. Furthermore, right-winger Juan Cuadrado is still injured because of a recent knee surgery, and finally veteran striker Mario Mandzukic can't play due to a muscle injury. ​Juventus ​Perin; Cancelo, Rugani, Chiellini, Alex Sandro; Emre Can, Matuidi, Bentancur; Dybala, Ronaldo, Bernardeschi. Out of the 26 meetings of these two teams, Juventus have won 21 times and drawn five, meaning Atalanta has never beaten the Old Lady. Whilst this may sound concerning, this game may prove to be the one that changes history. Juventus have only dropped points twice so far this season, and one of those games was in a 2-2 draw against La Dea back on Boxing Day. That, combined with Duvan Zapata's incredible form, means this game could be one to mark the history books. Juventus are currently experiencing some of the best results in their history. Currently on a shocking league run of 21 games played, 19 won and 2 drawn, they are looking to retain the Coppa Italia in their quest for the elusive treble, something that has only been achieved once in Italian football (Inter hold that honour). Atalanta, on the other hand, are having an inconsistent season so far, producing impressive performances (such as beating Inter 4-1), but also losing to teams like 18th placed Empoli 3-2. However, the amazing form new striker Zapata is finding himself in could prove crucial against the Old Lady. Here's how both sides have faired in their last five fixtures. Juventus are currently experiencing the best season so far in their history, and with star signing Cristiano Ronaldo bringing some additional firepower, their dominance domestically seems like it can't possibly be stopped. Despite the incredible form of Zapata, and Atalanta's hunger in repeating their 1963 victory of the Coppa Italia, it's hard to see a world where they manage to best the Old Lady.